On Saturday, 4/14/18, Blissful Bedrooms went on it’s very first Accessible Art field trip! 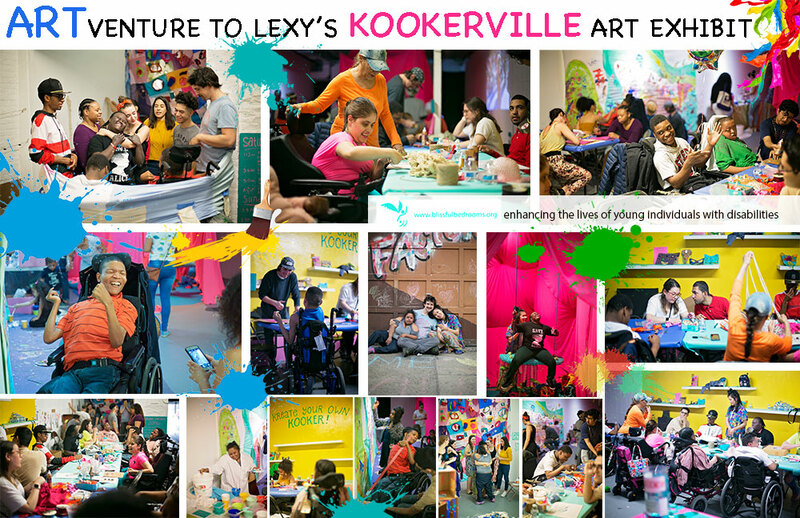 We met up at a funky art space in Long Island City for an ARTventure to enjoy an art exhibit entitled KOOKERVILLE, which was presented by our beloved friend, partner in compassion and passionate Blissful Bedrooms volunteer, Lexy Ho-Tai! It was her very first solo exhibit and we wanted to support her and show her some love, as she has done for so many individuals in our community on countless occasions. The art exhibit took place at Flux Factory, located in Long Island City, a welcoming space that supports innovative and collaborative art works that bring people of many different backgrounds together to create community and dialogue, as they share their artistry and appreciate and learn from the creative process of others. 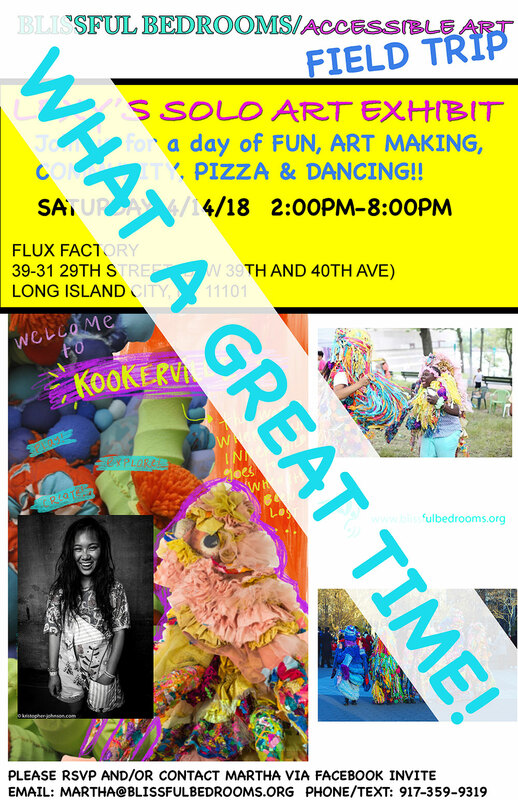 It was truly was a wonderful and fun day of frolicking with Lexy’s vibrantly cool Kooker creatures, art making, and community with many familiar faces and brand new friends. The day was topped off with a dance party! Kudos to Lexy for an enchanting exhibit that was magical, interactive and provided opportunities for creativity and fun for participants of all ages and abilities. Check out Lexy’s website here. Thank you to all of the volunteers who helped to make sure that it was a joyful and fully inclusive experience for all.